Throughout the decade, a number of visual motifs such as tree shades, hillsides, flowers and foliages alluded to the autonomy of this romantic space in relation to other social spaces depicted in the narrative. The opening sequence of Agradoot’s Bipasha (1962) alternates between close ups of heroine Suchitra Sen’s face displaying her pathos laden eyes and long shots of her solitary figure lost in a contemplative reverie under a tree shade. 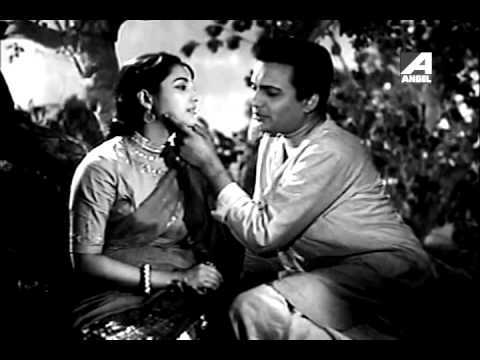 For a cultural insider familiar with the eruption of new trends in Bengali film socials of the 50’s, often referred generically as ‘romantic films’, these shots throw up countless associations, bringing into play memories of older film sequences depicting romantic spaces symbolized by studio sets of tree shades, flowers and foliages. 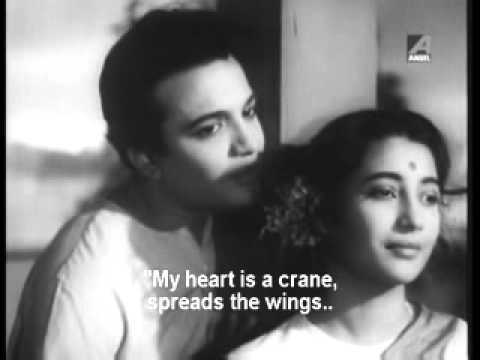 However, a commonsensical interpretation of such imagery as mere manipulative reiteration of settings stolen from older hits like Harano Sur (Ajoy Kar, 1957), would involve an ignorance of broader socio-political factors facilitating re articulation of Bengali film melodrama that Sen along with her screen counterpart Uttam Kumar came to symbolize during the 50’s. In this brief article, I would restrict myself to charting a few thematic and formal strategies employed in these new socials that sought to redefine cinematic depiction of romantic desire and its relation to social spaces. In one of his articles, film critic Rajat Ray, attempted to analyze the status of Bengali cinema during the politically turbulent 1940’s, through a statistical tabulation coupled with evaluation of aesthetic and ideological orientation of narratives prevalent during the era. 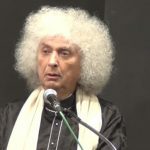 He offered brief synopses of more than 90 randomly selected films from amongst the 368 films produced during the period, covering more or less all the dominant genres. A cursory scan of the list reveals that around 55 of the films mentioned could be broadly categorized as socials ie. films dealing with themes centered around family, social relationships or emotional discords in a modern context. Evidently, most of these films would also involve a romantic sub plot and approximately 12-14 of the films engage with such romantic themes in significant ways. However, neither Ray himself, nor contemporary critics from the 40’s seemed to require a separate generic term to refer to these social melodramas before the arrival of Uttam-Suchitra duo in the next decade. But after the advent and consequent popularity of the star pair between early to mid 50’s, ‘pronoydhormi chobi’ (romantic films) came to be a standard coinage used for referring to these popular socials. It is interesting to ascertain what, if any, critical functions the generic coinage ‘romantic films’ set out to achieve over and above a simple referential one. I have argued elsewhere that the phrase alludes to a certain configuration of intimacy, which became a focal point for a number of cultural reconstructions taking shape across the social fabric of Bengali modernity in the decade following Independence. However, the generic term also helps to map a concrete elaboration of romantic aura that marked crucial displacements in representational strategies in Bengali film socials. In the 40’s as well as 50’s a dominant section of conventional social melodramas were centrally concerned with elaboration of cultural conflicts usually between a ‘traditional’ and ‘modern’ ethos, a thematic that encapsulated and supervised the romantic plot as one amongst its various expressive dimensions. The themes of conjugality and romance in representative 40’s socials such as Garmil (Niren Lahiri, 1942), Jiban Sangini (Gunamay Bandopadhayay, 1942) or Samadhan (Premendra Mitra, 1943) are treated as one amongst many narrative tropes that serve to establish the representations of social dichotomies elicited by the arrival of modernity as a familiar cultural frame. Such plot constructions would often address the moral impasse pertaining to conjugality as a locus for negotiation of emerging crises in the older patriarchal system. The patriarchal predicaments are rendered palpable through the protagonists’ entrapment and continual encounters with the overwhelming presence of modernity symbolized by plethora of signs representing urban homes and public spaces (eg. Prafulla Ray’s Parasmoni, 1939; Madhu Basu’s Subhalagna, 1955). Another narrative trajectory entails a splitting of the contrasting social forces into two female agencies in order to dramatize male protagonist’s moral dilemma and consequently the negotiation of broader social dilemmas involving the legitimacy of the traditional family and patriarchal values (eg. 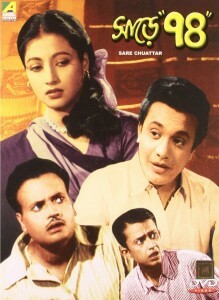 Gunamay Badopadhyay’s Jiban Sangini; Kamal Ganguly’s Bratacharini). In such contexts, the construction of conjugal autonomy in terms of its psychological and spatial manifestations are hindered by overseeing patriarchal agencies thereby also enabling a single resolution to tie up diverse narrative threads, often symbolized by images of social harmony such as marriage ceremonies and/or the reunited family. These symbolic representations mostly attempt to validate the effective function of traditional community ties as social cement despite the significant historical transformations in both public and private spheres. As is evident, romantic plots here serve to delineate the contours of such symbolic predicaments rather than figuring as sites of narrative conflicts in their own right. Perhaps one could argue that the overseeing melodramatic conventions of the 40’s allowed for romance to ‘re- present’ or stand in for other ideas but not ‘represent’ itself as a discourse in relation to allied social domains. Thus, it is necessary to locate the nature of transformation and the attendant accumulation of narrative motifs that constituted the so-called ‘newness’ of the romantic socials. During the 50’s, the romantic plot gradually started taking up a relatively autonomous narrative function thereby overriding the conventional parameters imposed by earlier socials. 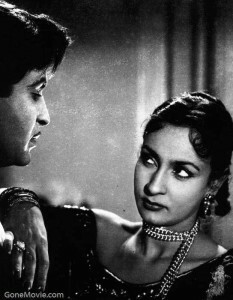 The complex unfolding of narratives in representative ‘romantic films’ of the decade such as Sagarika (Agragami,1956) or Indrani (Niren Lahiri,1958) are motivated towards elaboration of the romantic plot, which serves as the central thematic concern orchestrating all other elements in the diegetic universe. Secondly, the Uttam-Suchitra romances are exclusively marked by the astounding absence of representative patriarchal authorities that oversee romantic encounters in conventional socials. In Sagarika, the short rehearsal by the ‘conservative’ college principal actually serves to induce an emotional bonding between protagonists rather than effectively repressing it. While their common friend Kedar, who seems to be the only sanctioning agency for the ensuing romance, bears no significant social authority at the level of narrative or in the network of existing social structures. Thus, we could formulate a substantive specificity in the narrative structure of the new socials: the romantic relation does not attempt to legitimize itself with reference to traditional forms of social authority or in most cases have no broad moral framework to negotiate other than its own social trajectory. It ceases to function as an illustration of broader social conflicts and thereby attempts to acquire its own symbolic destiny. In Shilpi (Agragami,1956) the requirement of a spatial embellishment of the romance beyond the patriarchal gaze overseeing the household, deflects intimate exchanges to a similar meeting space, referred to as Botanical Gardens in the dialogue track. Such thematic displacements are often complimented by formal strategies that seem to relocate the value of romantic affect in relation to other narrative concerns in the texts. The 50’s film romances are characterized by consistent organization of cinematic spaces that house the concrete elaboration of romance as private conversations operating through a sharing of personal history and intimate trivialities, not necessarily involving song sequences. Throughout the decade, a number of visual motifs such as tree shades, hillsides, flowers and foliages alluded to the autonomy of this romantic space in relation to other social spaces depicted in the narrative. In Shilpi (Agragami,1956) the requirement of a spatial embellishment of the romance beyond the patriarchal gaze overseeing the household, deflects intimate exchanges to a similar meeting space, referred to as Botanical Gardens in the dialogue track. While the concrete journey into this space is never depicted, the entry or exit to the private space of dalliance is often marked by the use of abrupt cuts or dissolves. In fact, the sudden rightward pan ending the first liaison of the lovers is reminiscent of spatial shifters in the theatrical form; more like a conscious marking of spatial disjuncture than a conventional narrative punctuation. In Pathe Holo Deri (Agradoot, 1957), for instance, a series of thematic dilemmas leads to the distribution of the consequent romantic contract into two separate registers. Here the space of passionate encounter is characterized by a familiar setting comprising of walls, tress and foliage depicting a garden overlooking the hills outside the heroine’s house. It is further interesting to note that such romantic locales in spite of being represented as public spaces in principle, there is virtually no intrusion of ‘public’ either as concrete presence or as abstract gaze, thereby inscribing a haunting dimension onto these locales. However, such mystical delineation of spatial co ordinates also ironically enable these same spaces to perform a dual function as symbolic proof bearers of romances, which animates the settings into authoritative entities represented by people or overseeing representative agencies in conventional narrative contexts. In other words, the absence of proper locus of authority often allows such spaces to legitimize a private, affective bonding as a social commitment. In Shilpi, a gold medal, one of the few discernible references to the artist protagonist’s public identity, functions as a symbolic garland to solemnize his private bonding with nature around as the sole witness. One could argue that in such cases, spaces and objects acquire a strange value that foregrounds the problem of legitimation in relation to the invocation and emergent crisis of the ‘private/social’ divide. In Pathe Holo Deri (Agradoot, 1957), for instance, a series of thematic dilemmas leads to the distribution of the consequent romantic contract into two separate registers. Here the space of passionate encounter is characterized by a familiar setting comprising of walls, tress and foliage depicting a garden overlooking the hills outside the heroine’s house. At a crucial juncture, the hero’s financial need for professional training abroad necessitates an economic transaction as well as a social commitment to sustain the intimate relationship in his absence. Initially the symbolic exchange of marital vows is elaborately staged in the desolate setting to seal the conjugal bond by invoking the overlooking Himalaya Mountains as witness. This is followed by a dual enactment of the ‘commitment’ inside the home where the relationship is socially validated through a transfer of jewelry belonging to the heroine’s dead mother. The alternative camera placements of the next sequence additionally reveals that the latter exchange was enacted under the gaze of maternal authority as evident by her framed photo hanging overhead the place where the couple interacted. Thus, the re-staging enables a symbolic and supervised transaction that would remain a sacrilege given the socially nebulous nature of the private contract, which however the film text acknowledges through the preceding performative enactment. It is not mere coincidence that that customary endings depicting marriage rituals or group tableaux of the reunited family are consistently absent or skillfully negotiated in the romantic incarnation of socials. In fact, such depictions are often displaced by the celebrated suspended embrace of Uttam-Suchitra that came to signify a specific mode of social imagination rather than a conventional indication of narrative closure. Sagarika consciously freezes its narratorial discourse at a point when the broader social sanctions are yet to be realized, instantiating a logic of closure that operates in various guises in most romantic hits from the period. 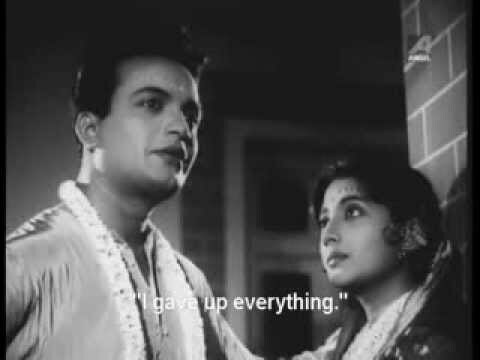 Chaoa Paoa (Jatrik, 1959) for example, uses the Uttam-Suchitra embrace as an emblematic freeze that literally stalls a set of routine narrative resolutions featured in conventional socials. Shilipi’s protagonist dies in his lover’s arms just the moment before social authorities could intervene in their domain to pronounce a verdict. In a similar spirit, the depiction of marriage itself as a process of ritual and social engagement is also suspended or negotiated in various manners. Indrani condenses such thematic anxiety in a haunting manner when the romantic couple gets virtually dislocated from the social realm in the process of marital transaction. The couple’s decision to elope in order to marry at a friend’s house in Ranchi is followed by a series of dissolves depicting natural locales leading to an abrupt cut that transports the spectator to the site where the marriage ceremony would presumably be held. Contrary to one’s expectation, the shot depicts the garlanded couple in wedding attire looking out at exotic scenery, which is reminiscent of usual romantic locales discussed above. The complete absence of the ‘social’ in terms of characters or rituals is complemented by a mandolin-strumming tramp singing a Hindi tune that functions as a locus for intimate conversation between the couple. 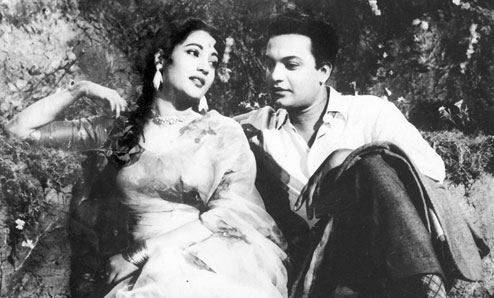 The insertion of the Hindi song, in itself a rare occurrence in Bengali cinema of the time, intensifies the connoted seclusion of the couple and lends a otherworldly aura to the depicted space thereby further estranging it from the social scenario within which the romance had sprouted. The heroine Bipasha’s sudden resolve to self-validate the marriage ritual despite the groom’s absence and undertake a search for her partner does not tantamount to an internalization of any imposed mandate. It could be argued that the ‘anticipatory gaze’ introducing Bipasha, represents a specific figuration of desire, which had gained symbolic currency traversing many individual narrative instances through the decade and thereby aided the process of re-signification of a broader social imaginary. What is perhaps at stake in these cinematic instances is an order of romantic imagination, which desires to circumvent the axes of authority that seek to legitimize it within the social realm. The rhythm and texture of such imaginations are powerfully captured in the work of artistes and technicians of the 50’s, who sought to rework the language of social melodrama within the popular tradition. The economy of such melodramatic modes of narration lie not so much in their fidelity to social history or academic realism but rather in their ability to render visually and symbolically palpable, the domain of social conflicts and creative imaginations that constitute the heterogeneous matrix of ‘our cultural modernity’. “Uttal Chollisher Dashak Ebong Nistranaga Bangla Cinema” in Rajat Ray, Banglar Chalachitra o Sanaskriti. Kolkata: Srishti Prokashon.2001, pp.75-91. 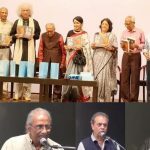 Throughout the 50’s, news papers, magazines in Bengali and English as well as popular and self -admittedly reformist film journals such as Chitrabaani, Roomancha etc. used phrases like ‘pronoydhormi chobi’ or similar variants where the adjective roughly translates as ‘romance oriented’. See Subhajit Chatterjee, Chapter 4, ‘(Mis)Reading Romance: An Enquiry Concerning Representation of ‘Love’ in Bengali Literature and Cinema’, PhD thesis submitted to Manipal University, 2007(unpublished). The 40’s socials in particular display an overabundance of visual motifs that provide the context for staging of narrative conflicts. The array of objects such as staircases, flowers, cutlery, pianos, dressing gowns, smoking pipes, brass decorations, abstract paintings etc. 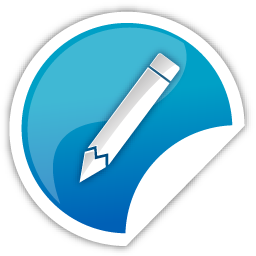 seek to compete with the dramatic action and dialogues in an attempt to attract spectatorial attention. The specific system of organizing details that the melodramatic form excels in, here often serve as ‘stand-in’ for the absence of the historical co ordinates of urban modernity. Quite often, the nature of consenting authority in 50’s romantic films happens to be of a social status that signifies lenience rather than discipline (eg. brotherly neighbor in Bipsaha, common friend in Sagarika both played by the same actor Jiben Bose, a docile and cooperative father in Harano Sur). In most cases representative authorities are either absent resulting in portrayal of either or both protagonists as orphan (eg. Bipasha, Pathe Holo Deri, Shilpi ); or else the authority in question is rendered psychologically weak so as to be ineffective as moral locus (eg. the father figures in Maraner Pare, Agni Pariksha). 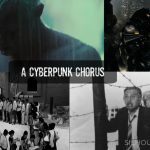 Some of the narrative features discussed in this essay have been commented upon by Moinak Biswas in relation to broader issues of citizenship and cinematic realism. 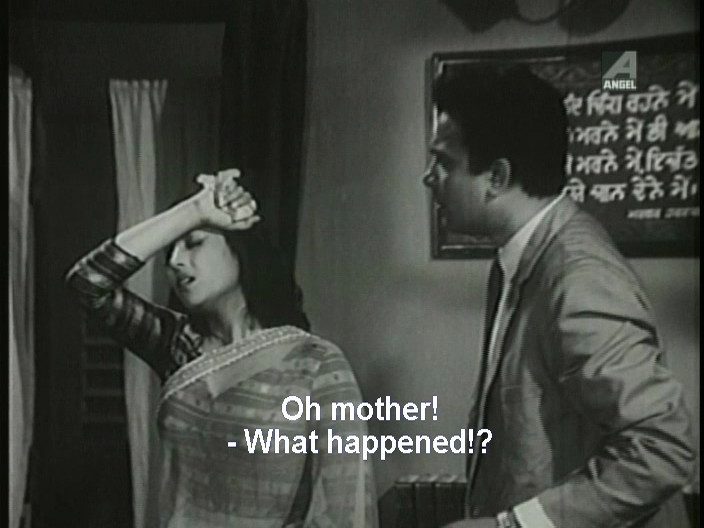 See Moinak Biswas, Chapter 4, ‘Historical Realism: Modes of Modernity in Indian Cinema 1940-60. PhD dissertation submitted to Monash University, 2002 (unpublished). In other words, unlike the conventional socials of the 40’s and 50’s, the process does not involve a validation of a mandate (husband/wife etc.) that is already legitimized by existing social authorities eg. Bratacharini), nor a resolution involving proper recognition of social identity (eg. Subharatri) but rather a struggle to reconstruct the conjugal imagination itself through negotiations with historically available social mandates. 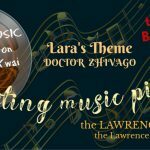 It should be noted that while the distinctive impact of the ‘romantic films’, owe their effect to deployment of various cinematic techniques, it cannot be wholly explained as the oeuvre of a specific group of artists. 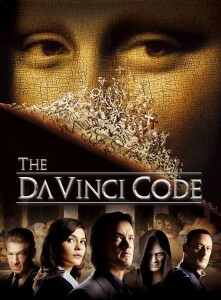 Many of the creative artistes working in these films (eg. Bibhuti Laha , Niren Lahiri, Nripendrakrishna Chattopadhayay or Ajoy Kar etc.) were also involved in production of conventional socials of the 40s and 50’s in various capacities ranging from scriptwriting, direction to cinematography. Subhajit Chatterji completed his Doctoral degree from Centre for the Study of Culture and Society, Bangalore. 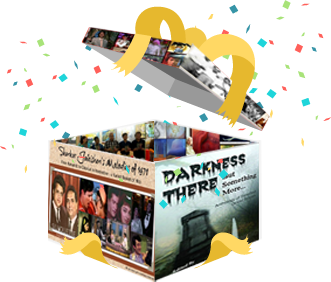 He is currently associated with the Department of Film Studies, Jadavpur University, Kolkata as a teaching faculty.